Meet the renowned artist instructors eager to share their knowledge and techniques with you. With a willingness to get messy in the name of art, each instructor brings a wealth of insight and enthusiastic energy with them to CREATE New Jersey. Get to know them below and meet them in person this July. Learn more about CREATE’s standout roster of artist instructors. Each of them was asked a few in-depth questions about their experience and approach to their craft. Get to know them and find out what they had to tell us. My art is deeply rooted in my heritage. The Russian fairytales, folklore and decorative traditions are intermingled with imagery of my birth city of St. Petersburg. The focus of my artwork is on recycled elements; vintage fabrics of personal history; sheer, translucent effects; intense hand stitching and free-hand machine work, computer manipulation and the sketched line. Thomas Ashman is a mixed media artist, bookbinder, composer, and teacher, who lives and works in and around Albuquerque, New Mexico. Drawing inspiration from his background in literature and experiences in the construction trades, Thomas developed his unique metal and wire book binding technique to facilitate the use of unusual materials such as glass, sheet metal, and various types of hardware for the binding and covering of quality handmade art journals. Thomas also enjoys altering dolls, making found object jewelry, and building elaborate mixed media sculptures. Julie is a mixed media artist, painter, and avid memory keeper. She loves to create all kinds of artwork and experiment with lots of different supplies and techniques. She lives in New York City in a small apartment with a big art studio. She has been lucky enough to have artwork and articles published in multiple books and magazines (including her column in Cloth Paper Scissors Magazine), host the TV show Scrapbook Soup (PBS), Cloth Paper Scissors' web series The Mixed Media Workshop, and the Adventures in Arting podcast, records lots of fun art DVDs, design stencils for The Crafter's Workshop, and blogs six days-a-week. Her book Carve Stamp Play was recently published by Interweave. Andrew loves and craves to find anything that is visually unusual & interesting. He spent quite bit of childhood time with construction toys and building tree forts in his backyard. He graduated from University of Bridgeport with a degree in Industrial Design, and has designed exhibits for National Park Service, Federal Aviation Administration, NASA, and various toy manufacturers (showrooms). Has also done product designs for a few electronic and medical equipment manufacturers. He obtained his masters degree in computer science and worked in a pharmaceutical industry for seventeen years. Before he left his corporate job to return to the creative field, he maintains his art skills by traveling all over the country for various art retreats and workshops in paper arts, book arts, mixed media, collage, printmaking and letterpress printing. He is currently self-employed as a designer/artist/instructor, and is a member of Nature Printing Society and Center for Book Arts. He is also a member of Stencil Girl Products' design team. Jane Davila is a fiber and mixed-media artist who began her professional career as a printmaker. She teaches art quilting and surface design internationally. Jane is a frequent contributor to Quilting Arts magazine. She has appeared on The Quilt Show with Alex Anderson and Ricky Tims and on Quilting Arts TV. Jane is the coauthor, with Elin Waterston, of Art Quilt Workbook & Art Quilts at Play plus Jane Davila's Surface Design Essentials, all for C&T Publishing. Jane is also the editor of Quilting Arts In Stitches and Quilting Arts Surface Explorations emagazines. She shares a studio in Bridgeport, CT, with her husband Carlos, a painter and sculptor. Originally from California, Kecia is a mixed media, jewelry artist and instructor who now resides at the Jersey Shore. Drawing inspiration form her life experiences as the mother of a severely disabled child, she channels that energy into creating and teaching art. Experimenting with "reclaimed discardia" results in many unique pieces of storytelling art. Kecia has been teaching at art retreats all around the country and also in her studio for six years. Her goal as a teacher is to support, motivate and inspire others. Kass Hall is an author and artist from Melbourne, Australia. Her books, Zentangle Untangled and The Zentangle Untangled Workbook are published through NorthLight Books and have been globally successful. She is an art journal enthusiast and lives to help others express themselves and tell their story through art. Nathalie is a European Mixed Media Artist. She is living her dream creating and teaching in and out of her n*Studio. Her layered work is an explosion of texture, dimension and jewel tone colors. In her workshops she shares her secrets for using paint and ink to reveal texture, show you many options on how to make the most of your supplies, gives tips for embedding found objects and show how to unlock your personal creativity. She has taught in-person workshops all over the world and meeting her students is always the biggest highlight for her. Erin Keck is a Steampunk style assemblage artist residing in Mechanicsburg, PA. Erin is nationally recognized for her Steampunk Clocks created from original laser cut gears. Her creations have been featured in the book 1,000 Steampunk Creations, Just Steampunk Magazine, as well as Jewelry Affaire Magazine. Erin travels throughout the United States teaching and sharing her talent of assemblage art. Leighanna Light is an art instructor and mixed media assemblage artist known for her whimsical style and unique use of found objects. Her background is in fine arts and photography, but she considers herself self taught when it comes to the assemblage work that she now creates. She has been instructing art workshops for the past 15 years, teaching locally and internationally. Leighanna is represented by galleries and museums across the country and work has been published in numerous books and magazines including The Studio, Art Doll Quarterly and Somerset Studio. She loves to create, to hunt for things to create with and to share her creativity with others. It's what she lives for, it's her oxygen. Leighanna grew up in a small town in upstate NY. She has spent most of the past 16 years in New Mexico, and currently resides in Taos with her best friends, Thomas, Lily & Sam. With 30 years of fabric dyeing experience, Cindy brings humor, wit and value-able lessons to each class. Affectionately known as "The Bucket Lady", her color insight and useful tips and techniques add to the fun and fast paced nature of her classes. The Hands On Hand Dyes innovative and reusable tool kits, along with her supportive instruction makes every hand dyeing class an empowering and successful experience that will add to your eye for color and value, as well as your stash! Kits provide low water, compact, neat and tidy methods that are suitable for every environment! Liesel Lund is a full time artist who loves to teach and share her passion for art and the creative process. She believes we are all artists and that making art adds an invaluable richness to our lives. After majoring in art, she continued taking drawing, painting and scientific illustration courses at The University of Washington, and Gage Academy of Art. She has worn many creative hats in her career. As a Peace Corps Volunteer in Thailand she created a nature education center at a Doi Luang National Park. Later she designed graphics for Seattle's Woodland Park Zoo, children's books for McGraw-Hill, and textiles for Tommy Bahama. These days you can find her in her Seattle studio, spoiling her kitties and drinking large cups of tea while she works with watercolor, acrylic, jewelry, art journals, tin, fiber and textiles. Liesel has been creating and selling her jewelry since 2003. She teaches classes in Seattle and has taught at Artfest, Journalfest, and at Daniel Smith Art Store. She is a featured artist in Creative Wildfire by LK Ludwig, Studios Spring 2010, and Drawing Lab for Mixed Media Artists by Carla Sonheim. An award winning artist who teaches at retreats and stores around the world, and is featured in galleries and magazines such as Cloth Paper Scissors, CPS Studios, Art Journaling /Somerset Studio, and Stampington. Kari helped develop materials for Faber Castell's Art Journal & ATC Kits. Her stamp line launched in 2011. This devoted instructor delights in sharing with students, and watching them bloom in their artistic journeys. Her engaging classes are designed with pleasure and success in mind, enthusiastically guiding techniques while allowing for self discovery and individualization. Laurie Mika is a mixed-media artist with a passion for combining and overlapping a variety of mediums creating her easily recognizable style of mixed-media mosaics and assemblage using handmade tile. 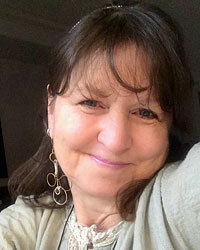 Laurie has been teaching at mixed media art retreats and through guilds and shops for over ten years. She is the author of, Mixed Media Mosaics, published by North Light Books in 2007. Laurie's work has also been published in countless books and magazines. She was featured on HGTV's, Crafter's Coast to Coast and on DIY's Craft Lab. Jodi Ohl is a full-time mixed media artist and instructor, who favors unique color combinations, texture, and a sense of humor in her creative endeavors. A resident of NC, and mother of two boys, her inspiration comes from many places but is rooted in a sense of community, family, relationships and overall positive empowerment found from living a creative life. Jodi's art has been published in over 18 publications and is collected around the world. She currently teaches workshops around the East Coast and runs 12 current online classes. Joanne Sharpe is a whimsical art maker, teacher and author from upstate New York. Her colorful mixed media art and stylized lettering style is easily recognized in art journaling, illustration and quilting. A Joanne has recently been named an Artisan Ambassador for Bernina of America sharing her sewing passion for art quilting and fiber art. Look for her first book, The Art of Whimsical Lettering by Interweave in early 2014. Staci has been making art forever it seems and her career has gone through many iterations over the years. She distinctly remembers making furniture for her dollhouse out of recycled materials and clothing for her dolls. Her love for design led her to study textile design in college and later a career as a fabric designer/stylist in the home furnishings industry. Eventually the corporate world gave way to motherhood and freelance design replaced boardroom presentations. It was during those years that she discovered a love for paining, initially with watercolors. Currently she is painting with acrylics and layering those with oil pastels and grease pencil, throwing a little collage at it on occasion, and building things just to shake it up a little. Stay tuned, you never know where dancing along this red road is going to take her! Artist, Author, Art Educator, Blogger. She is a practicing artist and teacher. Each role of equal importance. Having been seduced, empowered, enriched, and invigorated by metals and glass, she happily dedicates herself to creating and teaching others the joys of enameled and mixed media jewelry. Lesley is a self taught mixed media instructor who lives in Virginia with the love of her life and their family of fur babies. Her creations have a very vintage feel to them having been inspired by her collections which abound in her studio. She loves seeing those "aha" moments in the classroom as imaginations and creations come to life. Michelle Ward is a mixed media artist, freelance graphic designer, and workshop instructor. She enjoys experimenting in different dimensional art forms but always returns to her favorite thing – working with paper and paint in journals. She is a regular contributor to Somerset Studio magazine and her work can be found in several books on journaling and related paper arts. She is a rubber stamp and stencil designer, operating her business Green Pepper Press from her home studio in New Jersey, where she lives with her husband and their three children. Cindy Wunsch is from St. Louis, Missouri but has resided in Nashville since 1976. She received her Bachelor of Arts/Business from Spring Hill College (Mobile, AL) and Masters of Education from Belmont University (Nashville, TN), where she was later an adjunct professor. After having used her creative and business talents in the entertainment industry for 15 years, she decided to follow her own dreams as an artist and began painting and teaching art in 2004. She has a private studio (Studio BE) where she creates her multi media works and teaches private lessons to children and adults. She also teaches inspirational workshops across the country for adults enabling them to step outside their left-brain lives and create meaningful art. She is a Demdaco licensed artist selling her current collection in various galleries/stores in the United States, Canada and Australia.